A review of the murder trial and conviction of serial killer Robert William Pickton, as well as his appeal attempts. The largest serial killer investigation in Canadian history led to Robert William Pickton being convicted in December 2007 of murdering six women who had disappeared from Vancouver's Downtown Eastside. Pickton, a 60-year-old former B.C. pig farmer, was found guilty of second-degree murder in the deaths of Sereena Abotsway, Mona Wilson, Andrea Joesbury, Georgina Papin, Marnie Frey and Brenda Wolfe. Pickton was sentenced to six concurrent life sentences, with no eligibility for parole for 25 years. Both the B.C. Court of Appeal and the Supreme Court of Canada have upheld the conviction. Aug. 4, 2010: B.C. Crown officials confirm Pickton will not be prosecuted on the remaining 20 murder charges he faced. July 30, 2010: The Supreme Court of Canada unanimously rejects Robert Pickton's appeal for a new trial. Meanwhile, B.C. Crown officials say the 20 remaining murder charges against Pickton will likely not be prosecuted, to spare families and the court system from the effort and expense of another long trial. June 26, 2009: Pickton's lawyer announces his team will appeal to the Supreme Court of Canada for a new trial. June 25, 2009: The B.C. Court of Appeal upholds Pickton's conviction in a 2-1 split ruling. 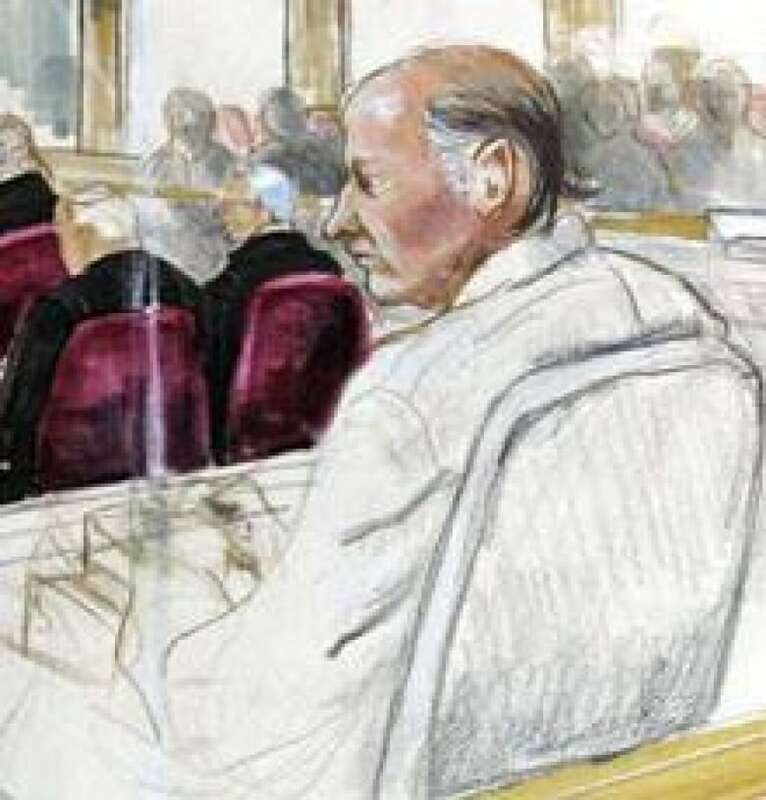 Two of the three judges rule that Justice James Williams, the trial judge, erred in his final instructions to the jury, but that those mistakes were not serious enough to warrant a new trial. The other judge disagrees, concluding the trial judge and Crown lawyers created so much confusion over key points of law that the conviction should be overturned. In a separate ruling on the Crown's appeal, the B.C. court says that if the Supreme Court of Canada grants Pickton a new trial, it should include all 26 murder charges, not just the six that were in the original trial. Feb. 26, 2008: Wally Oppal, B.C. 's attorney general at the time, says there will be no second Pickton trial covering the 20 murder charges that were not covered in his original trial, should the courts uphold his current convictions. Jan. 9, 2008: Pickton's lawyers launch their appeal of his six murder convictions, accusing Justice James Williams of erring in his final instructions to the jury during the original trial. Jan. 7, 2008: The Crown seeks a new trial for Pickton, arguing that he should have been tried on all 26 murder charges he faced. 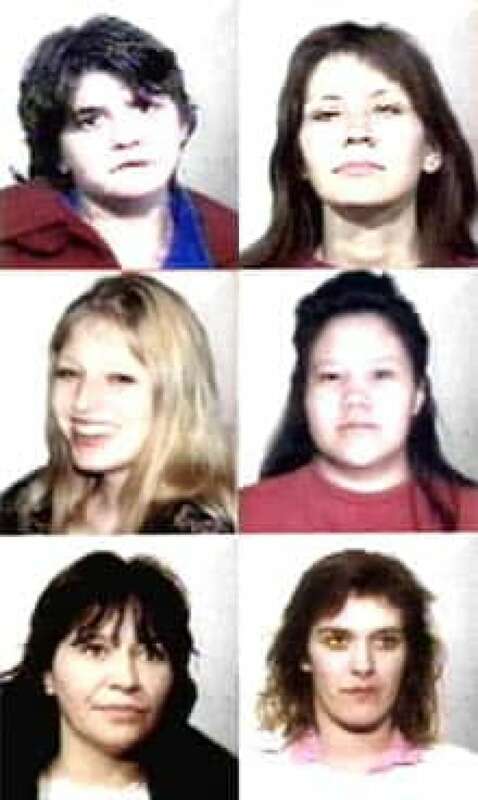 Robert Pickton is convicted of killing, clockwise from top left: Sereena Abotsway, Mona Wilson, Brenda Wolfe, Marnie Frey, Georgina Papin and Andrea Joesbury. Dec. 11, 2007: B.C. Supreme Court Judge James Williams sentences Pickton to life in prison, serving six life sentences concurrently, with no eligibility for parole for the maximum 25 years. Wally Oppal, B.C. 's attorney general at the time, says it would be unlikely for a parole board to ever release Pickton. Dec. 9, 2007: After nine full days of deliberations, the jury finds Pickton guilty on six counts of second-degree murder in the deaths of Sereena Abotsway, Mona Wilson, Andrea Joesbury, Brenda Ann Wolfe, Georgina Faith Papin and Marnie Frey. Nov. 30, 2007: The jury begins its deliberations. "Keep an open mind, but not an empty head," Williams tells them during his jury instructions. "Don't just talk, listen too." Nov. 27, 2007: Justice James Williams begins to review the evidence and instruct the jury. His comments were expected to last for three days. Nov. 26, 2007: The Crown finishes its closing arguments. Prosecutor Michael Petrie tells the jury Pickton revealed himself to be a cagey negotiator during a 2002 police interview and challenged the idea that he's a dimwitted pig farmer. Petrie admitted to the jury that his key witnesses are "unsavoury," but added that's no reason to throw out their testimony. Nov. 21, 2007: The defence rests its case after 3½ days of closing arguments, in which Pickton's lawyers challenged the credibility of key Crown witnesses. They also pointed to what the Crown says was Pickton's confession, saying it was a simple parroting of what police were telling him. Defence lawyers also said DNA evidence points to more links between Pickton's friends and the missing women than to the accused killer himself. Nov. 19, 2007: Final arguments begin. Oct. 16, 2007: The defence rests its case after seven weeks instead of the originally expected three. Thirty witnesses were called. Oct. 12, 2007: An expert witness on intelligence tests tells the court that Pickton's verbal and performance skill, as reflected in the IQ test, is below average but his reasoning appears to be above average. Oct. 1, 2007: Two defence witnesses raise doubts about bloodstain evidence introduced earlier in the trial by Crown prosecutors. An expert testifies he believes some of the stains aren't blood at all, but different types of glue. Another expert on blood stains testifies that although there was blood inside Pickton's motorhome, it doesn't appear to have been the site of a fatal blood letting. Sept. 6, 2007: A friend and business associate of Pickton testifies that he saw a steady stream of visitors both day and night at Pickton's farm. Defence witness Bill Malone tells the court that the visitors included friends, workers, strangers and thieves, and that many had virtually unlimited access to the trailer where Pickton lived. 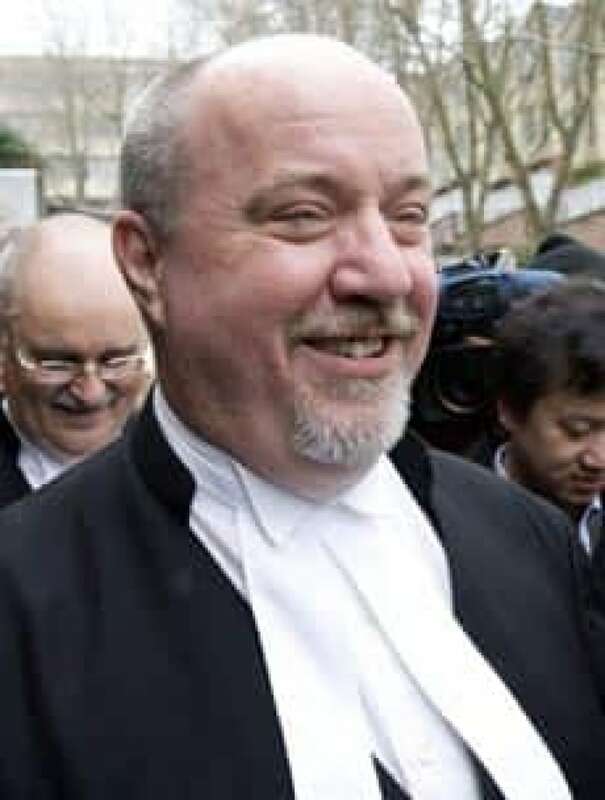 Sept. 4, 2007: Pickton lawyers launch their defence by attacking the credibility of the Crown's key witness, Ellingsen. Aug. 13, 2007: After seven months of testimony, the Crown wraps up its case. Staff Sgt. Wayne Clary, currently the primary investigator in the case, was the Crown's 98th and final witness. June 25, 2007: A key prosecution witness testifies that she saw a dead woman hanging from a chain in Pickton's barn. Former friend Lynn Ellingsen, 37, is the first witness to testify she saw Pickton with a dead body. However, in her seven days on the stand, defence lawyers repeatedly attacked the credibility and memory of Ellingsen, who admitted to being high on crack cocaine at the time. June 13, 2007: A defence lawyer challenges the credibility of a key Crown witness whose information prompted a police search on Pickton's property. May 29, 2007: Gina Houston, Pickton's former friend, testifies that he told her there were several bodies on his pig farm, then suggested they both commit suicide. The jury heard that the conversation took place two days before Pickton was arrested in February 2002. May 1, 2007: Justice James Williams calls a short recess after some jurors become visibly shaken after viewing graphic evidence. A pathologist who examined the remains of Sereena Abotsway, Mona Wilson and Andrea Joesbury had been led through a book of graphic autopsy photos of the women's partial remains. 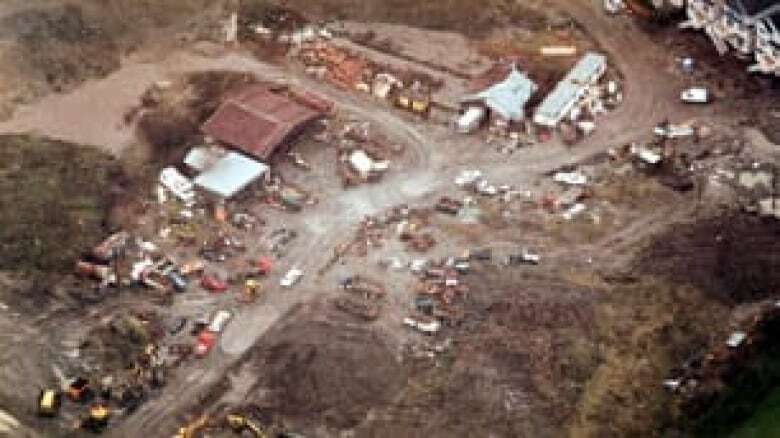 April 11, 2007: A technologist who searched the slaughterhouse on Pickton's farm testifies that she found clumps of hair, a condom, a red-stained receipt and several pieces of clothing. March 8, 2007: Jurors hear an audiotape from Pickton, recorded in 1991. The 55-minute cassette tape addressed to an unknown woman named Victoria records his life story, as he tells of the "stupid things" he did as a child and the modelling job he was offered. March 1, 2007: Pickton's younger brother, Dave, is still under investigation for suspected involvement in the Vancouver missing women's case, Vancouver police Det. Const. Mike McDonald says while being cross-examined by the defence. Feb. 28, 2007: The DNA from an unknown man was on the buckets in which human remains were found, defence lawyer Marilyn Sandford tells the court. Sandford made the comment as the defence raised questions about the way the search on the property was conducted. Feb. 20, 2007: Const. Daryl Hetherington of the Vancouver Police Department tells the court she found human remains in a green garbage pail inside a slaughterhouse on the Port Coquitlam farm. Prosecutors show the jury disturbing photographs of the evidence. Feb. 5-6, 2007: A videotape of a lengthy, secretly filmed conversation between Pickton and an RCMP officer planted in his jail cell after his February 2002 arrest is shown in court. In the tape, Pickton said authorities were trying to "bury" him. "I'm screwed, tattooed, nailed to the cross, and now I'm a mass murderer," Pickton told the officer at one point. Jan. 29, 2007: The lead investigator in the case testifies that three other people besides Pickton were arrested in connection with the deaths. None were charged with any of the murders. Jan. 23-25, 2007: The jury sees an RCMP officer's videotaped interview from February 2002. When asked what he thought of being investigated in the Vancouver missing women's case, Pickton laughed and called it "hogwash," and said he was being set up. Later in the interview, Pickton said he's "a plain little farm boy" and had nothing to do with the deaths. Jan. 22, 2007: The Crown outlined graphic details of its case in the opening statement to the jury. Crown prosecutor Derrill Prevett told the court that Pickton admitted he had killed 49 women and wanted to make it an even 50, but he got sloppy. Defence lawyer Peter Ritchie urged the jury to keep an open mind, and not come to quick conclusions about the case. Dec. 12, 2006: The B.C. 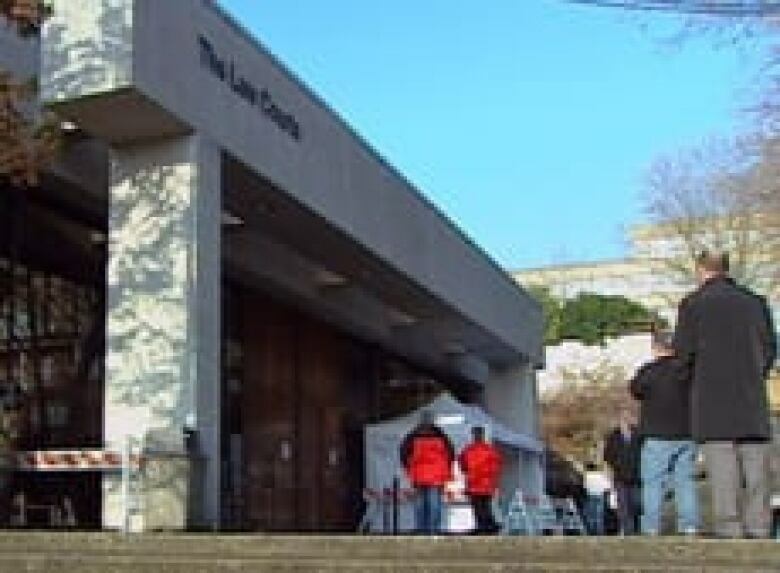 Supreme Court jury is chosen in New Westminster, B.C. Two weeks had been set aside for jury selection, but the process was completed in just two days.